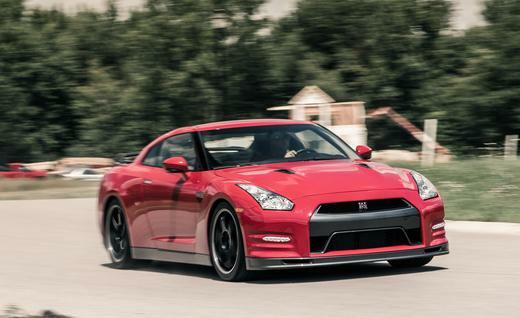 Car and Driver just reviewed and tested the 2014 Nissan GT-R Track Edition. It is red, which we all know is faster. The numbers. I like to look at the numbers. 1.02 on the skidpad isn't bad for a street car. Even if its one of 150. Not slow. Not the fastest I have seen a GT-R run, but its fast. 0-60 in 2.9. 1/4 mile in 11.2@124 mph. 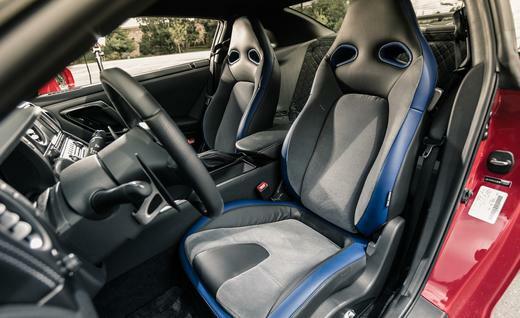 Track Edition seats. Yes it has blue trim. 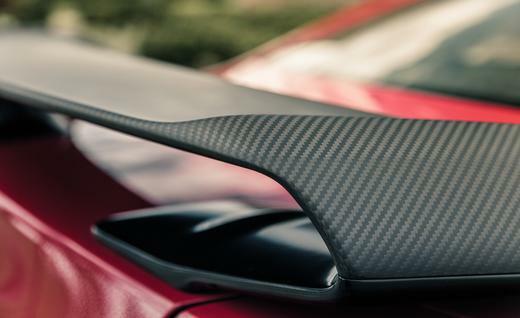 Other elements include modified Bilsteins, stiffer springs (20 percent so, says Nissan), six-spoke RAYS forged-aluminum wheels, grippy fabric-covered front seats, and front and rear brake-cooling air channels, as well as front and rear spoilers fashioned from carbon fiber. The Track Edition is also less influenced by gravitational forces than is the “base” model, to the tune of 33 pounds. Otherwise, this version sports the same horsepower and torque, same gearing, same tires, and so on. So the big question is does the Track Edition merit a tariff that’s a chunky $16K steeper than the “base” Premium Edition model? I love their high's and lows section. Quick, hooks up like Lohan, prodigious stick, exotic moves without exotic prices. Noisier than a sawmill; spendy for the Nissan badge; chunky, pug-nosed looks starting to feel dated. Head over to Car and Driver for the full story, and pages of pictures.